Jenna and Ryan have been my clients and friends for some time now, and I absolutely LOVE being their go-to photographer! They are just so cool, and they have a beautiful (growing) family. We’ve done a number of photo shoots together, from their engagement and wedding photography, to maternity sessions, family pictures, and now…. 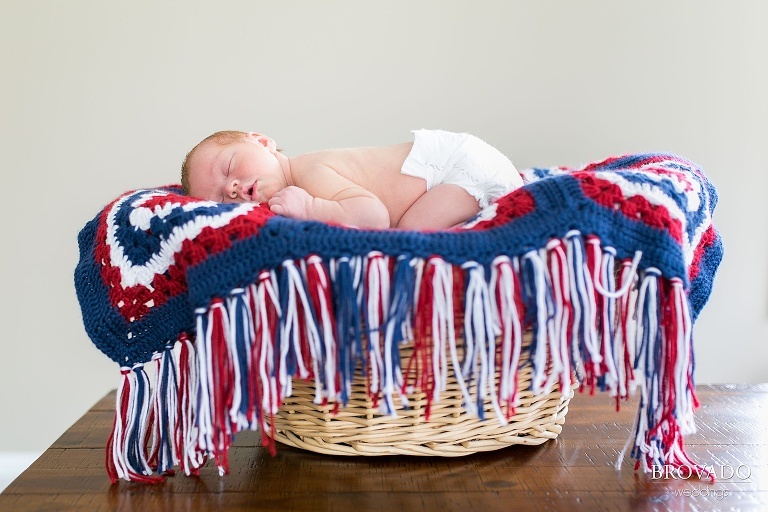 newborn portrait session #2! WELCOME, LITTLE BROOKS! 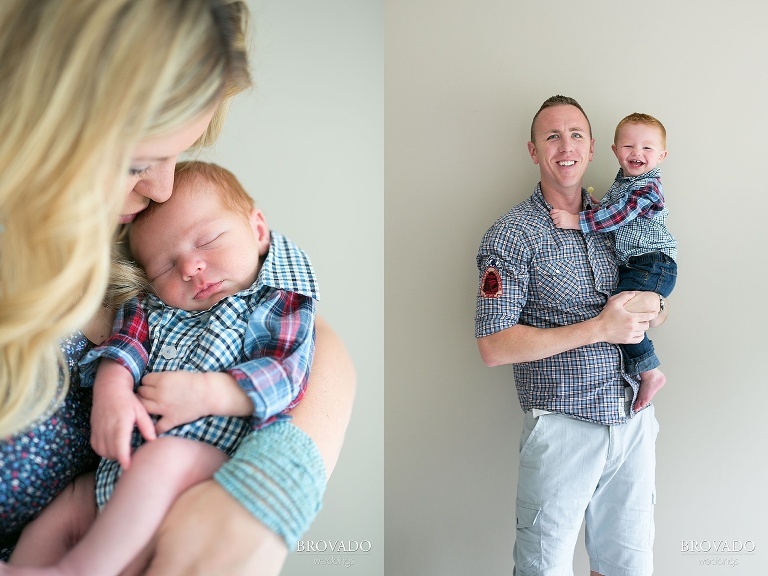 We are in love with his tininess, his mellow personality, his healthy appetite and his fire red hair. 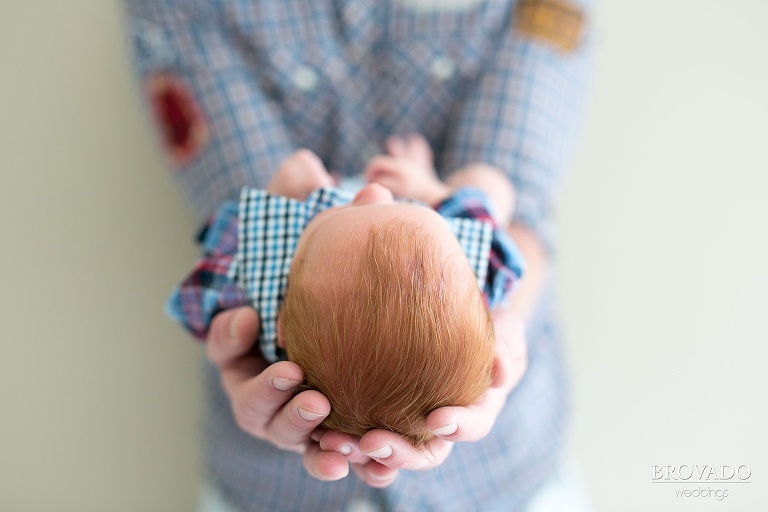 Jenna and Ryan swear they don’t know where the redheaded trait comes from, neither of them had it as a child… But Brooks and his older brother Beau are definitely rocking the ginger genes! Thanks for the fun day at your beautiful new house in Excelsior, you two! It is absolutely gorgeous… I can’t believe you packed and moved while Jenna was 8 months pregnant, with toddler Beau in tow! But I’m glad you can both finally relax and have a beer at your outdoor bar. 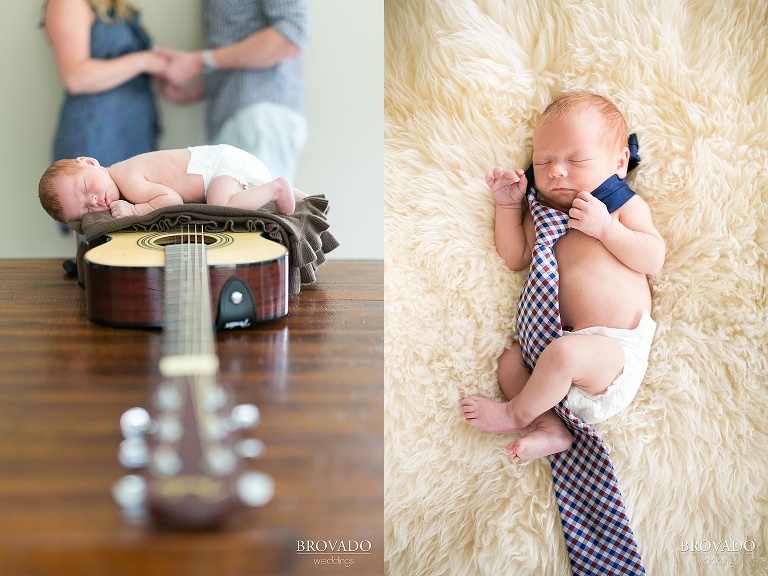 😉 Enjoy these family and newborn photos!